COLOMBO, Jul 17 2012 (IPS) - A bloody civil war was reaching its climax but this Tamil family, who had already experienced the conflict intimately, had one last decision to make that would prove to be the hardest one of all. Fighting during the early months of 2009, in the last phase of Sri Lanka’s 30 year-long civil conflict, was so intense that a Tamil couple in their sixties was forced to make a heart-wrenching choice when they fled the bloody warzone: whether or not to leave behind Thangamathi, the elderly unmarried sister in the family who had been mentally handicapped since birth and required constant care. Finally, Thangamathi’s brother decided to leave her at a home for the mentally challenged, a location that he hoped would shelter her until his return. “It was a hard decision, but neither of us was strong enough to take care of her, (when we ourselves) were barely surviving from minute to minute,” he told IPS. The elderly couple did manage to survive the last bout of fighting between the Sri Lankan armed forces and the separatist Liberation Tigers of Tamil Eelam (LTTE), which claimed between 7,000-40,000 lives according to conflicting sources. They eventually returned to their old home in the village of Tharmapuram, in Sri Lanka’s northern Kilinochchi district, sometime in early 2010. But long before their return, while still living in a government-sponsored welfare camp, the couple began looking for Thangamathi. For the last three years they have been searching for her in vain. An acquaintance once told the couple that she had been spotted among the nearly 280,000 who escaped the last battle in April 2009 but, unsurprisingly, the information yielded no results. “We are still looking, but we know that it’s over,” her brother said. 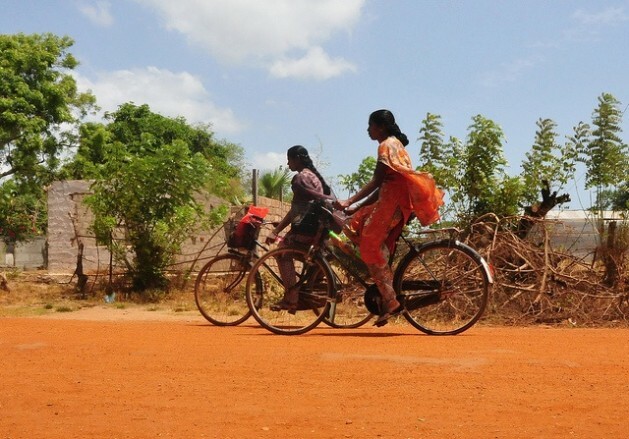 For those hailing from areas like Kilinochchi – the town that, for over a decade, was the showpiece administrative centre of the LTTE’s proposed separate state of Tamil Eelam until it fell to government forces in early 2009 – Thangamathi’s story is not rare. In this former warzone, which witnessed some of the worst excesses of the war, thousands are still looking for missing loved ones. Santhirakumar, a resident of the Mullaitivu district, which adjoins Kilinochchi, has been looking for three family members since the war ended but has had no news regarding the whereabouts of his cousin’s husband, or his two nephews. He, too, heard that at least one of his missing relatives was spotted on May 17, 2009, just 48 hours before the government declared victory. Nothing more came from that morsel of information. The endless search goes on, and three long years later there is scarcely more than a faint flicker of hope. “We have gone to each and every prison, as well as camps in Colombo, Boossa (in the south) and several other places. But we could not find them. It has been three years. But we have not given up. We are still looking for them,” Santhirakumar told IPS. The Department of Census and Statistics carried out an enumeration survey of the northern province between June and August last year, the first of its kind to be conducted in the region in over two decades. It found that between January and May of 2009 2,635 people were reported as being “untraceable”. This is the figure that the Sri Lankan government agrees on, though rights organisations and other advocacy groups believe the number is even higher. In Vavuniya, the district located at the southern-most corner of Sri Lanka’s former war theatre, government officials and the United Nations Children’s Fund (UNICEF) set up a unit to trace missing children in 2010. Piencia Charles, the top government official for the district, was instrumental in setting up the unit. She said she was motivated to do so after interacting with dozens of distraught women on a daily basis, all of them looking for their missing family members. Though the unit was initially set up to look for missing children, it has received more cases on missing adults, which it passes on to other organisations. In a recent address to Sri Lankan diplomats, the country’s defence secretary, Gotabaya Rajapaksa, said that the Vavuniya Family Tracing and Reunification Unit had received 2,564 applications by July 2011. Of those, “1,888 were about missing adults, and 676 about missing children. According to the parents who made the tracing applications, 64 percent of the missing children had been recruited by the Tamil Tigers,” he said. UNICEF officials in Colombo said that the Unit was handling 747 cases of missing children. So far, 40 had been reunited with their families, while another 30 cases have been ‘cleared’ for reunion with relatives. Officials said that 70 more cases were being processed. However, the thousands of missing do not only represent those who fled during the last stages of the war. The International Committee of the Red Cross (ICRC) is carrying an active five-figure caseload reaching back over two decades, to a period when the country was beset by twin insurgencies: the protracted insurrection of the Tamil separatists in the north and another, short-lived uprising of mostly Sinhala communist youth in the south. “The ICRC’s Annual Report for 2011 states the ICRC in Sri Lanka was handling 15,780 tracing (including missing) cases as at Dec. 31, 2011. This figure, which reflects the number of cases reported to the ICRC since 1990, is the current (active) caseload of persons who remain unaccounted for,” ICRC Spokesperson, Sarasi Wijerathne, told IPS. The ICRC added that it had received 1,382 new cases, including 369 cases involving minors, during 2011. Of the total figure, the humanitarian organisation has only been able to trace a mere 136 people, which paints a grim picture for the majority of anxious families desperately searching for their lost loved ones.